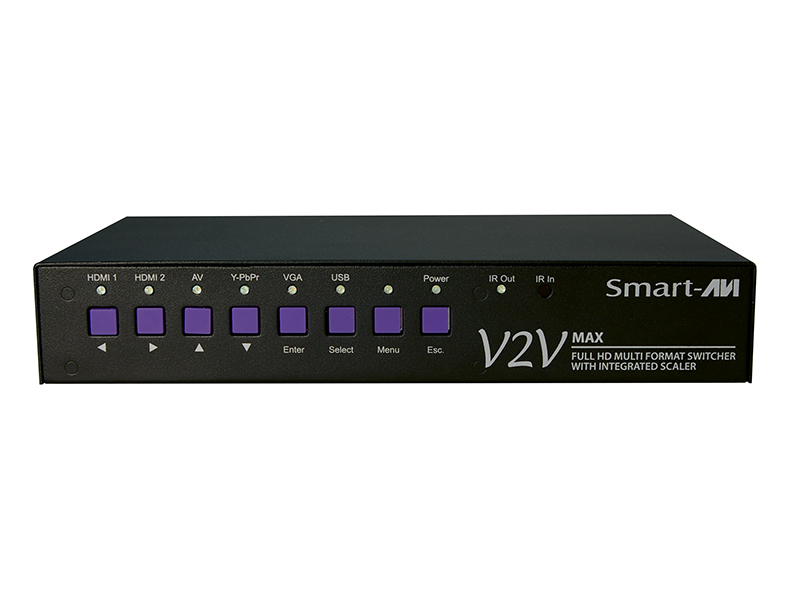 The V2V-MAX is a 6 port video switcher supporting multiple video formats with an integrated HDTV scaler. 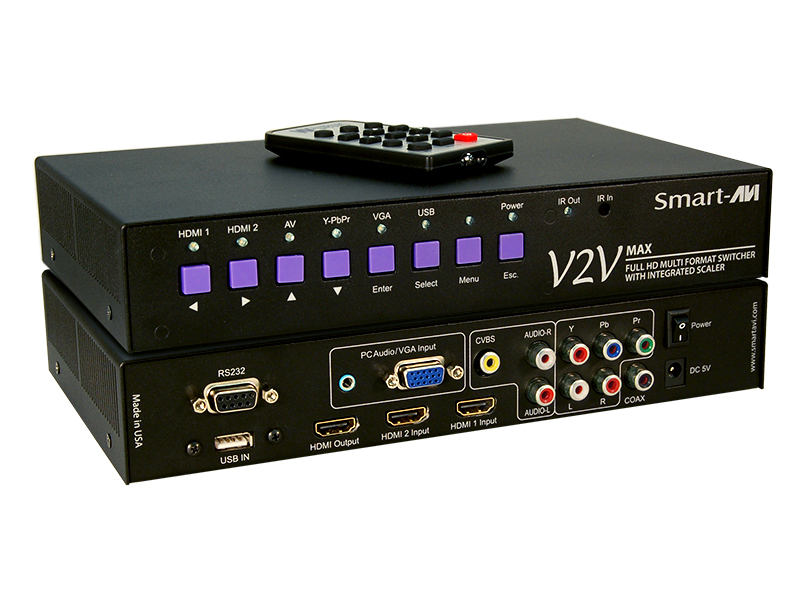 The V2V-MAX supports 1080p and 720p output resolutions, making it the ideal presentation switcher. 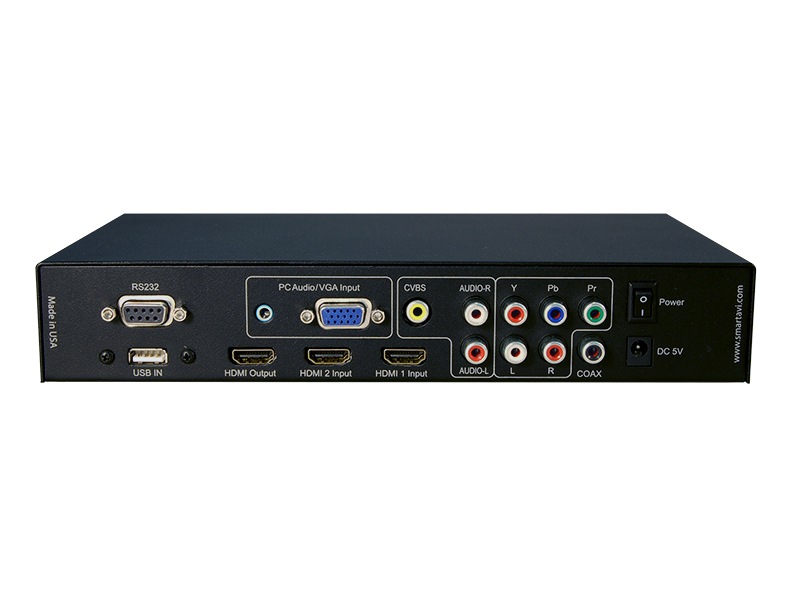 You can now use one device to connect your composite video, YPbPr video, VGA (PC), USB media file and 2 HDMI sources to a single 1080p HDMI output. 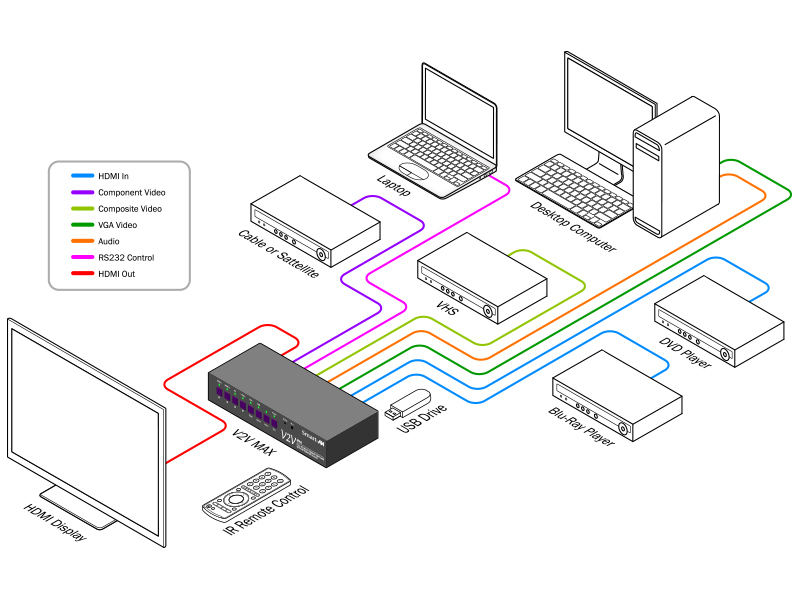 Any input will be automatically scaled and converted to HDMI 1080p. Each video input also support the native audio format.